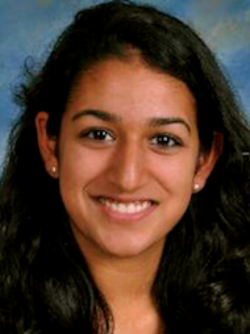 Saachi Nangia is a current undergraduate student at Johns Hopkins double majoring in public health studies and biology. During her time at Hopkins, she has engaged in varied research projects, including investigating clinical markers for liver fibrotic cystic fibrosis patients and examining school environment factors contributing to obesity in the United States. She is interested in pediatric clinical care and global medicine, an interest inspired from growing up in developing countries and, later, through her public health studies, including a course in Uganda during her first year in college. She is thrilled to put this passion into practice in this examination of LPG stoves in Puno, Peru, where she will be contributing to the outdoor air pollution component.